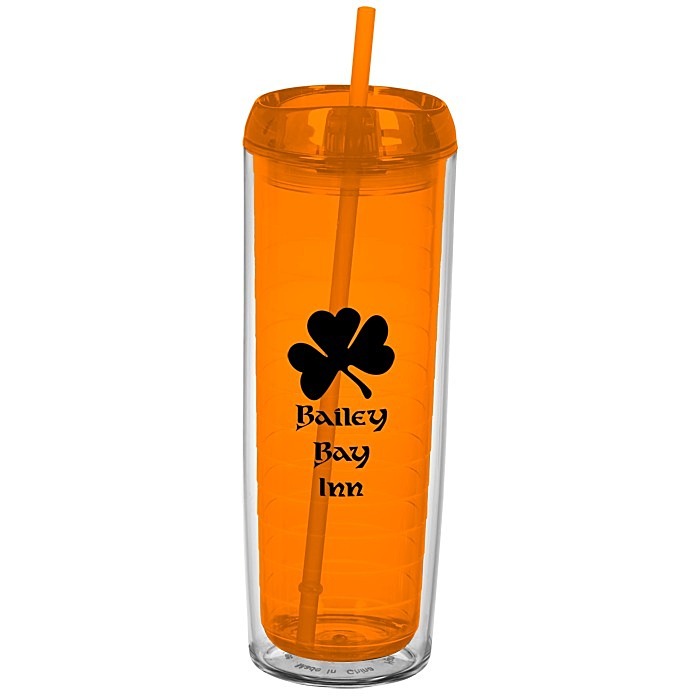 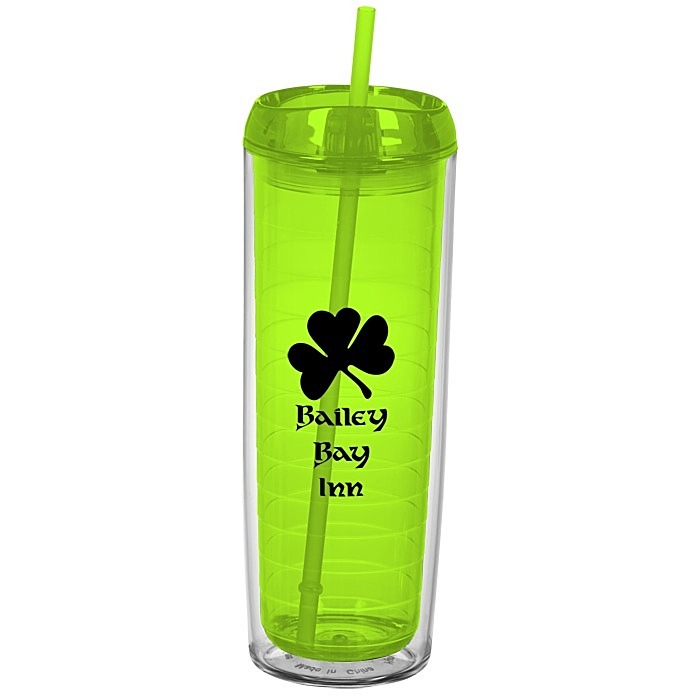 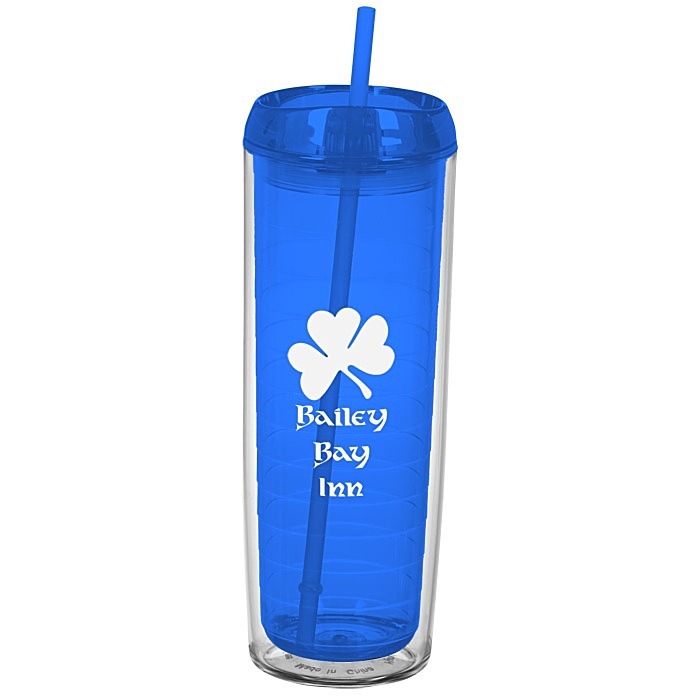 Get these imprinted tumblers to your thirsty customers fast – 24HR! 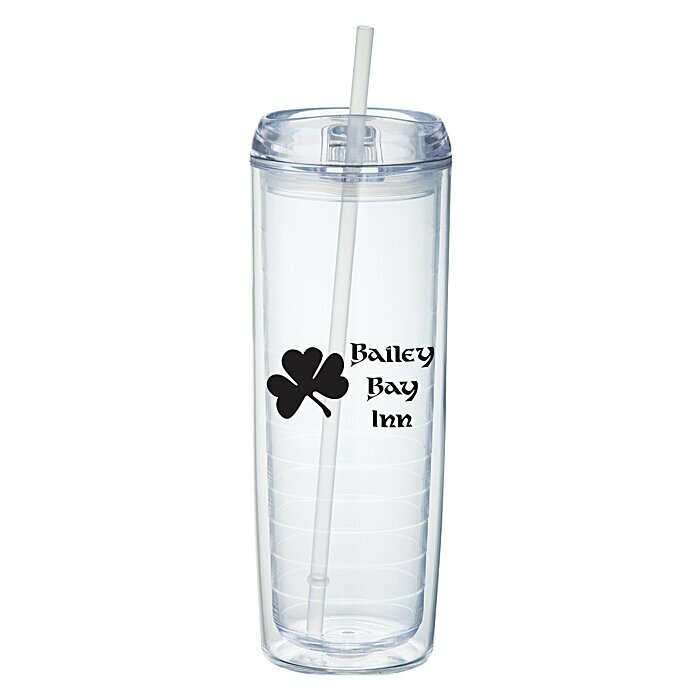 This double-wall tumbler features a unique lid for hot or cold beverages. The gasketed push-on lid is designed with both a straw insert and a thumb-slide closure. 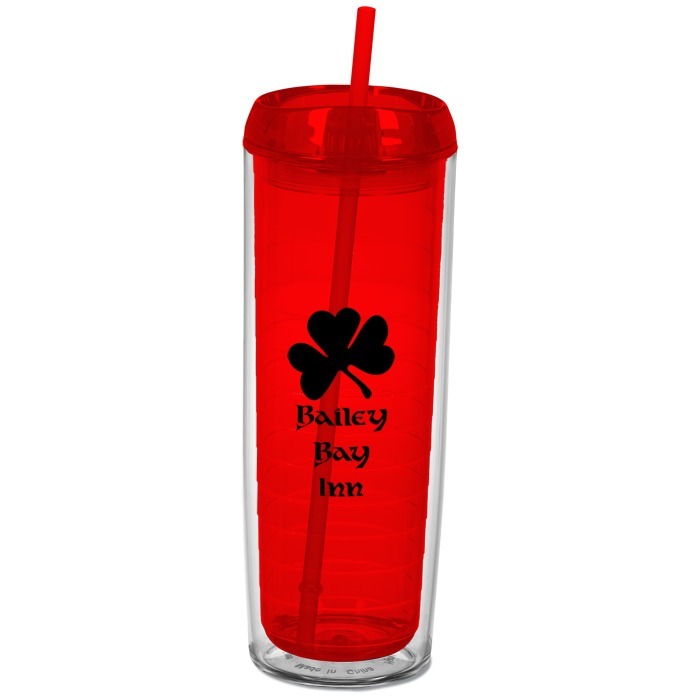 Outer wall is clear and the rippled inner wall color coordinates with the straw and lid. 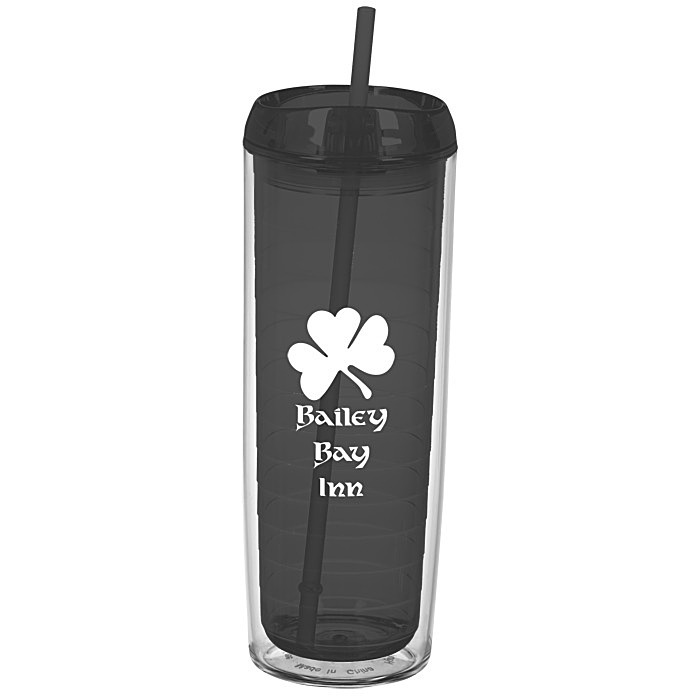 Made of BPA free acrylic plastic (#7) which can be recycled in only a few limited areas; check locally for more information.